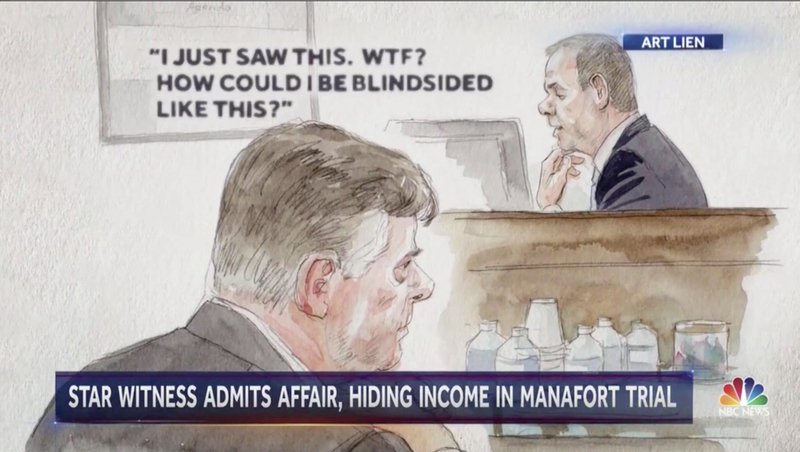 Covering closed courtroom trials is always a challenge for TV news — with both still and video cameras (as well as audio recording) typically banned, the picture-heavy medium has to get creative to illustrate what happened. 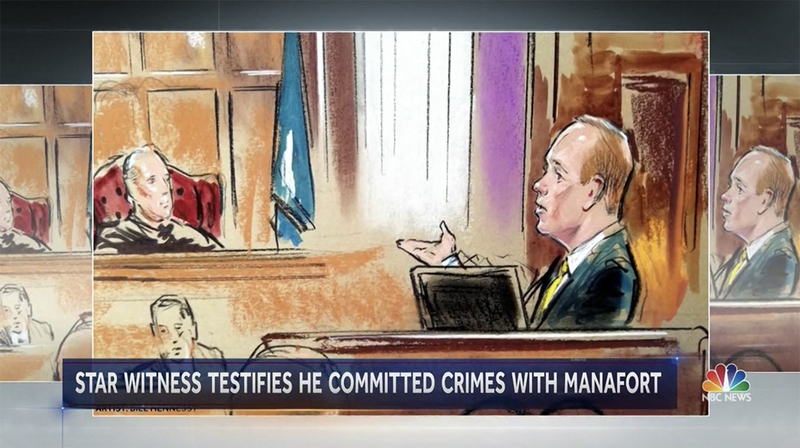 Although at least one local station has relied on puppet reenactments for trial coverage, the network newscasts are taking a more straightforward approach to coverage of the Paul Manafort trial — with NBC adding a little twist. 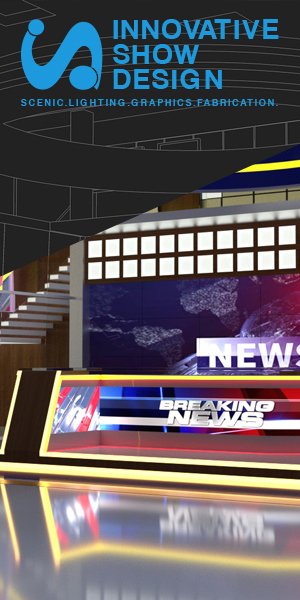 “NBC Nightly News” originally used courtroom sketches from an uncredited artist on its Monday, Aug. 6, 2018 edition, with the images set inside its standard still photo frame template with a steely blue background. By Tuesday, Aug. 6, however, the network licensed work from the famous (and ironically named) courtroom artist Art Lein, but in two of the sketches it used, added an extra layer of interest — “cutting out” separate element of the sketch and having each slowly move independently of each other, a technique widely credited to documentary filmmaker Ken Burns.